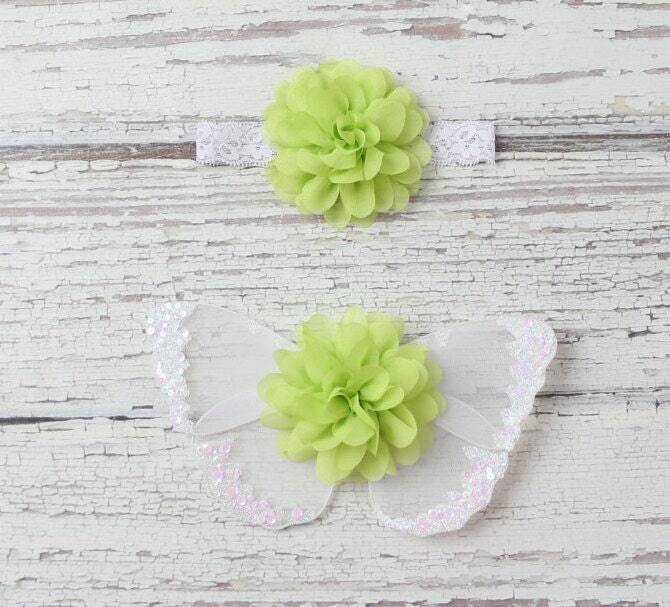 Lime green butterfly wing set and or lime petal flower headband. These wings lay on the babies back for photo props for newborn babies, recommended for 0-10 days when they sleep soundly. Wings measure 8 inches by 5 inches. Not intended for older children, this is for newborn photo props only. NO STRAPS. 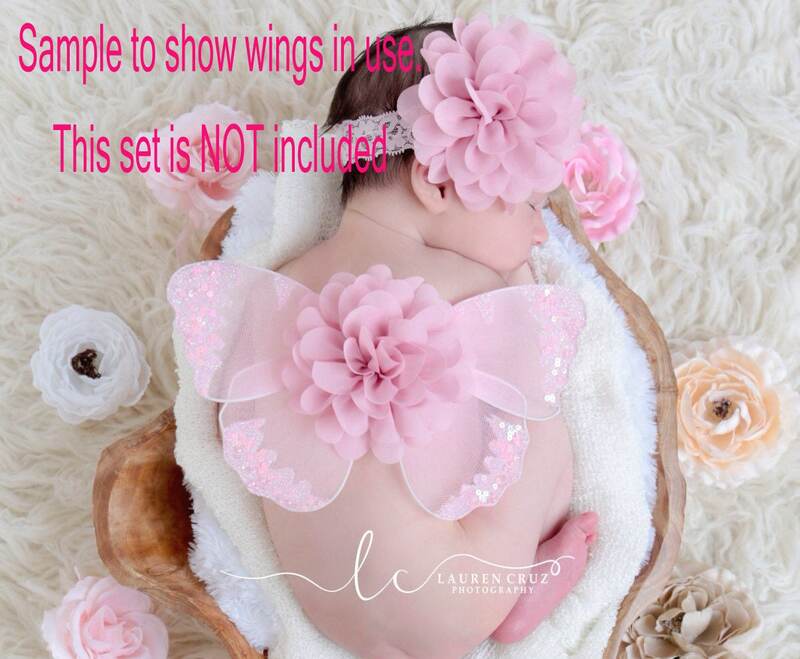 Photo of pink wings shown on the baby is for informational use only and this set is NOT included.